This figure-flattering gown is classic and stunning.. It has never been worn to a wedding. 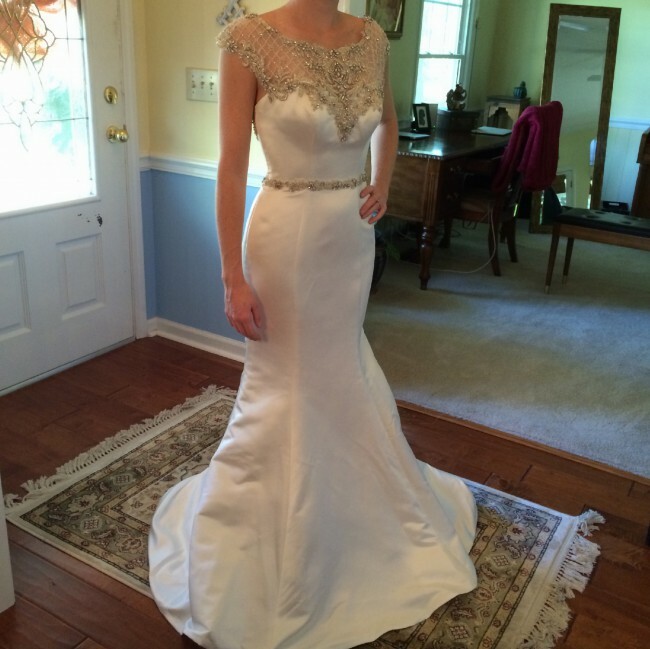 It has only been tried on at the store (Carrie's Bridal) and at my home. It has also never been altered; it is exactly as I bought it- tag still on. Please don't hesitate to ask me any questions you may have.